от 4000 шт. — 8.70 руб. 16 руб. 5 дней, 1791 шт. 1 шт. 39 шт. от 79 шт. — 11 руб. от 157 шт. — 8.80 руб. 23 руб. 2-3 недели, 5245 шт. 5 шт. 5 шт. This family of LEDs, from Kingbright, are side looking surface mount (SMD) devices. They are available in single, full and bi-colour options from a variety of package sizes. There are also a range of different lens types. 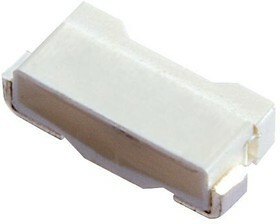 Suitable applications for the side looking LEDs include backlighting and indicators.